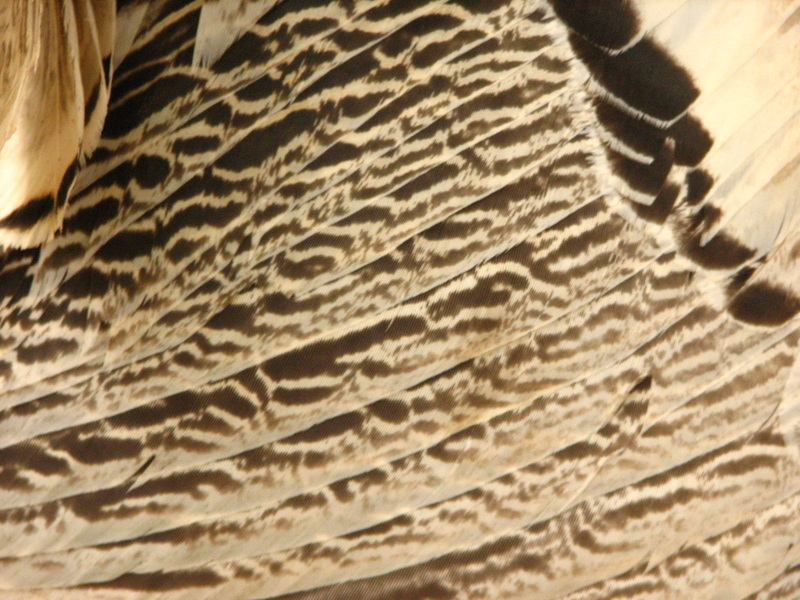 Pencilled Palms are patterned like a Royal Palm but have the addition of the pencilling gene (pn) which gives a unique swirly pattern to all the feathers. 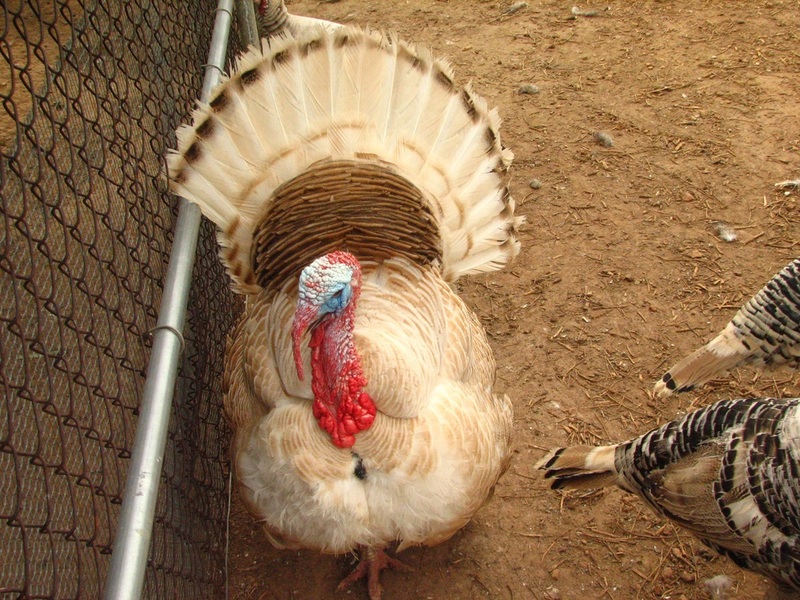 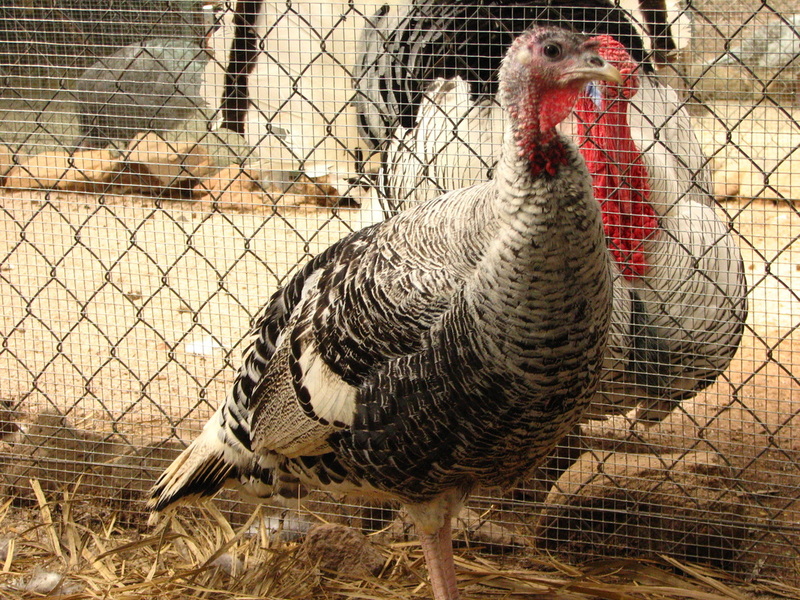 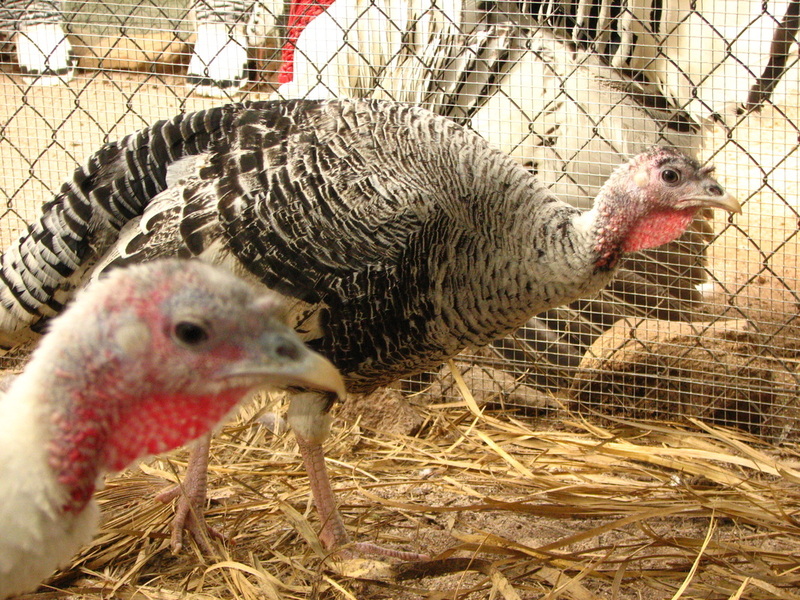 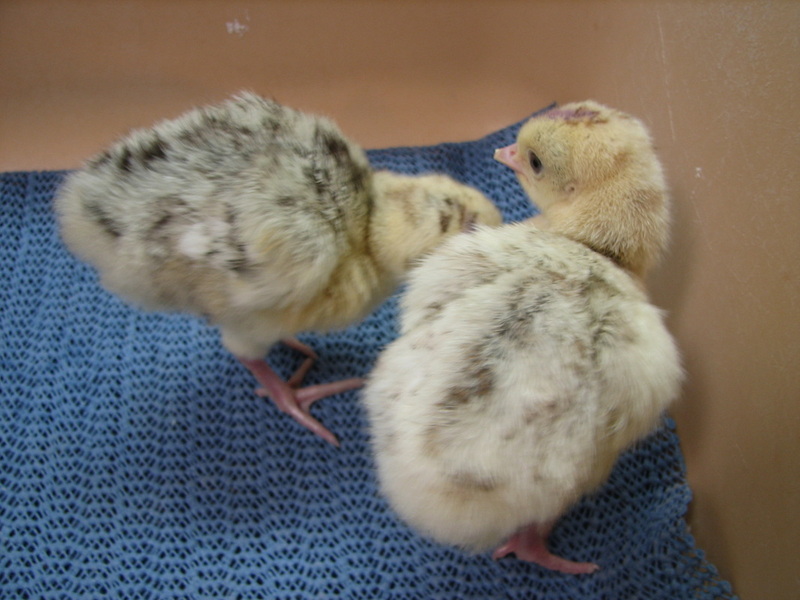 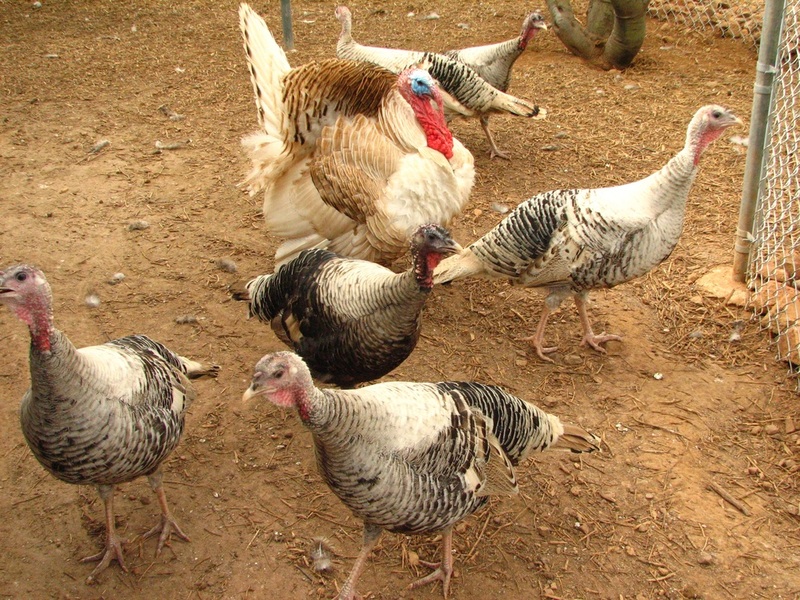 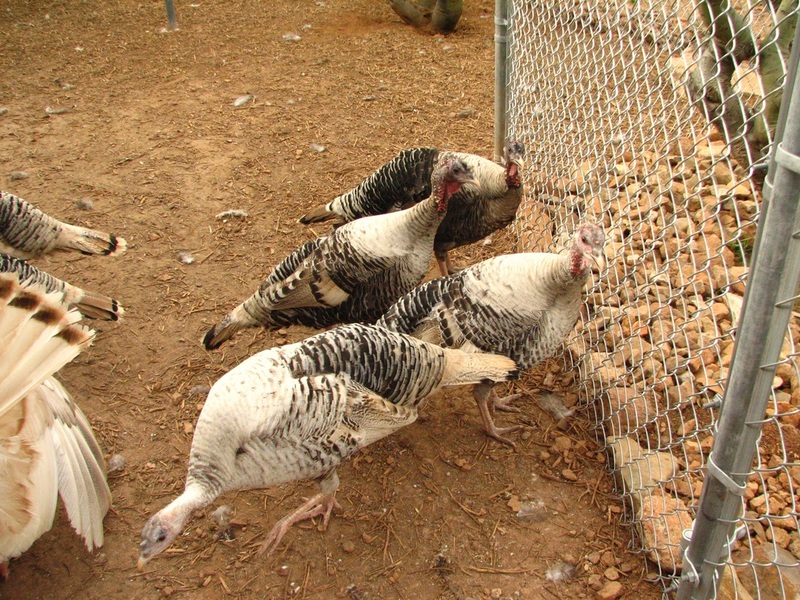 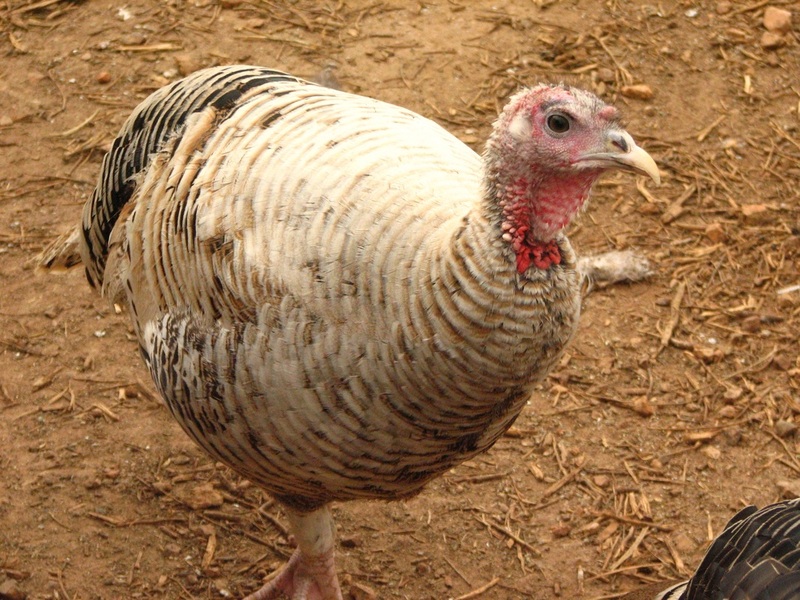 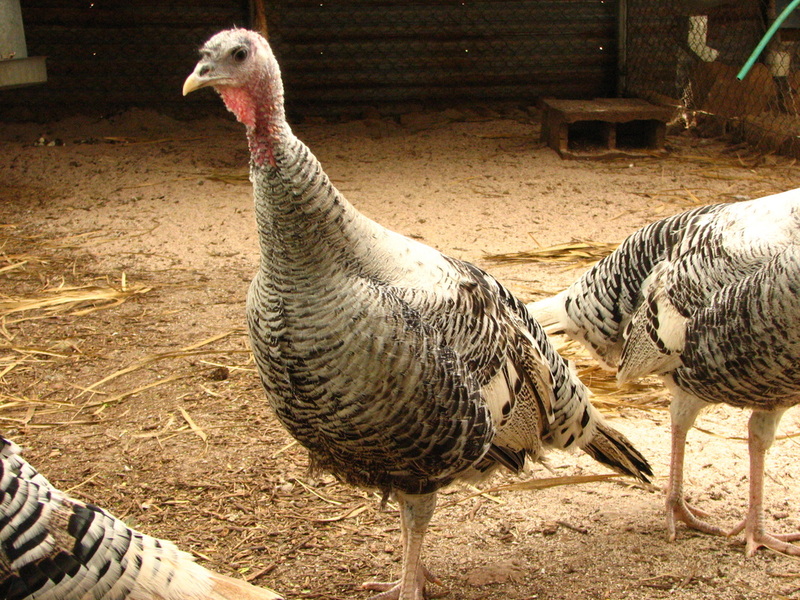 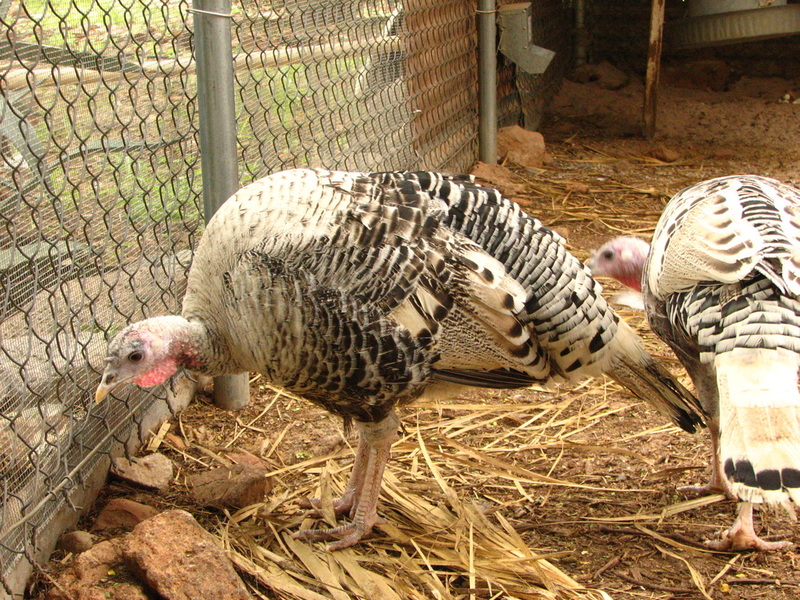 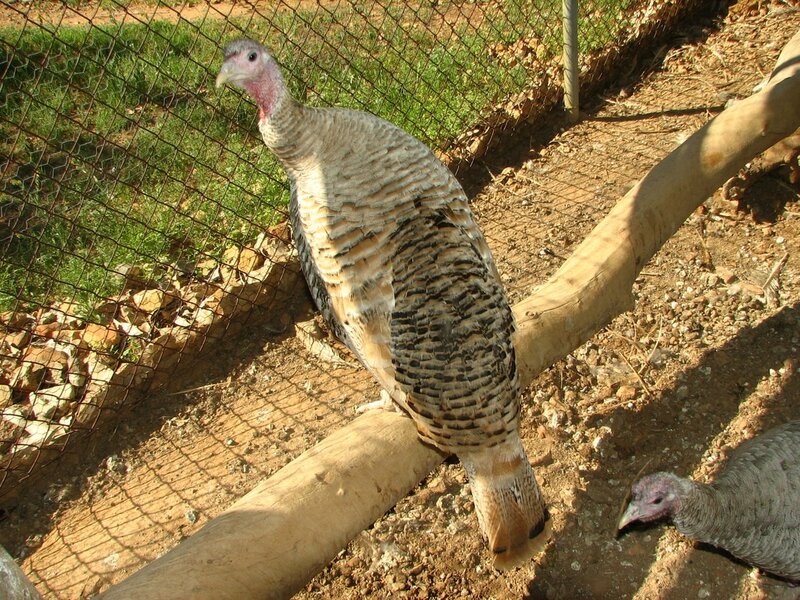 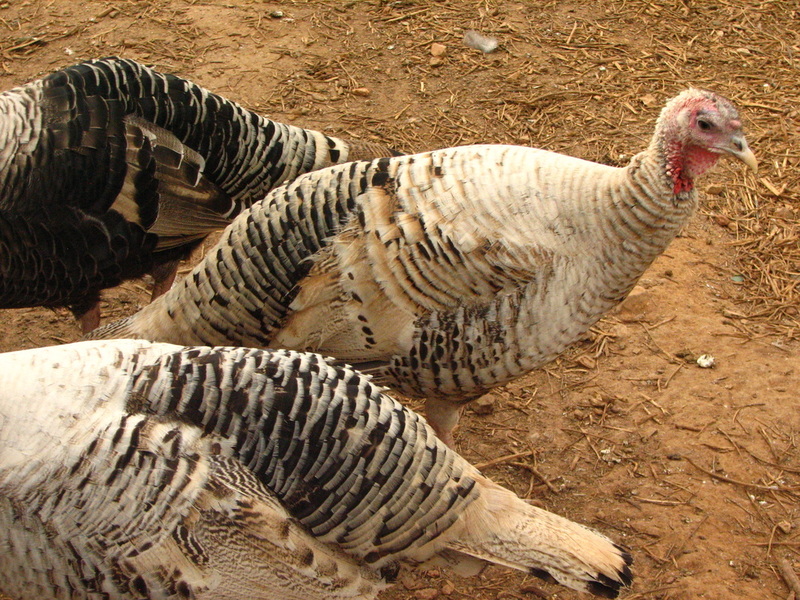 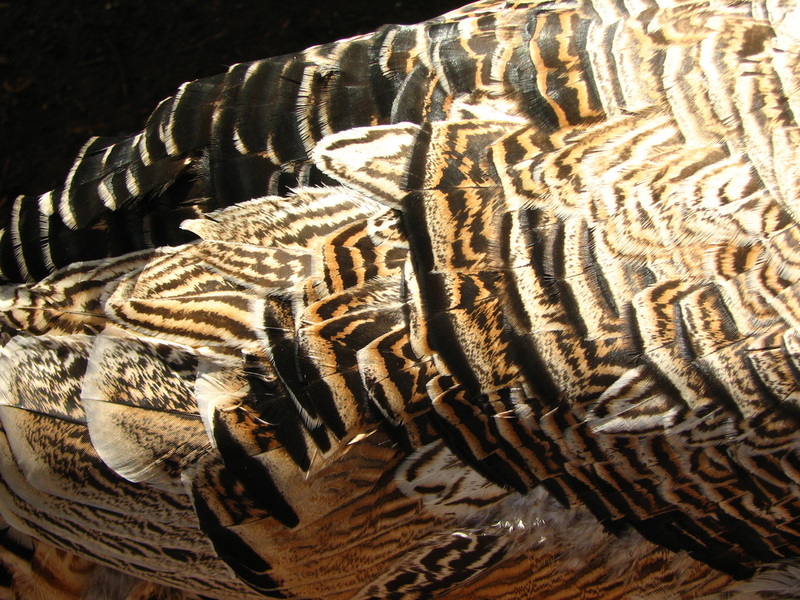 I started with one pair from Porter turkeys, the tricolor tom above was my founding tom. 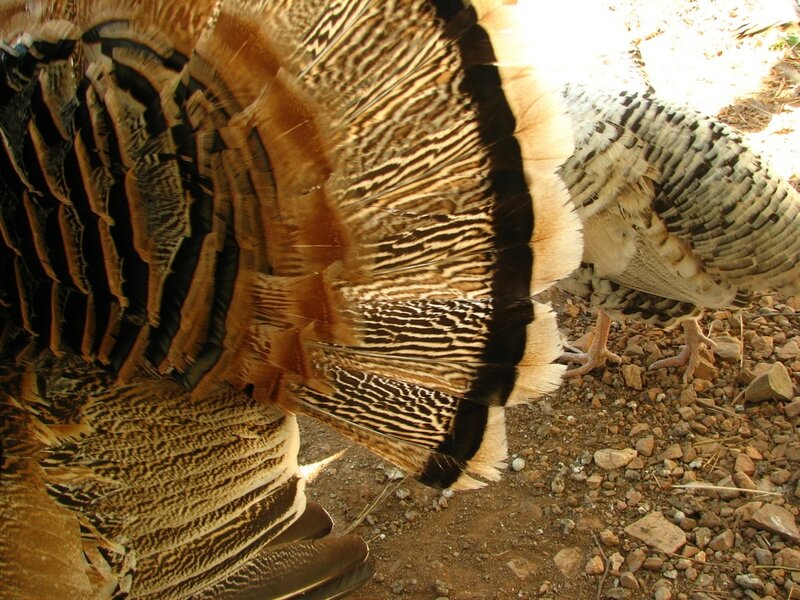 The tricolor Pencilled Palm have the addition of a red gene which adds a beautiful rust color to their feathers. 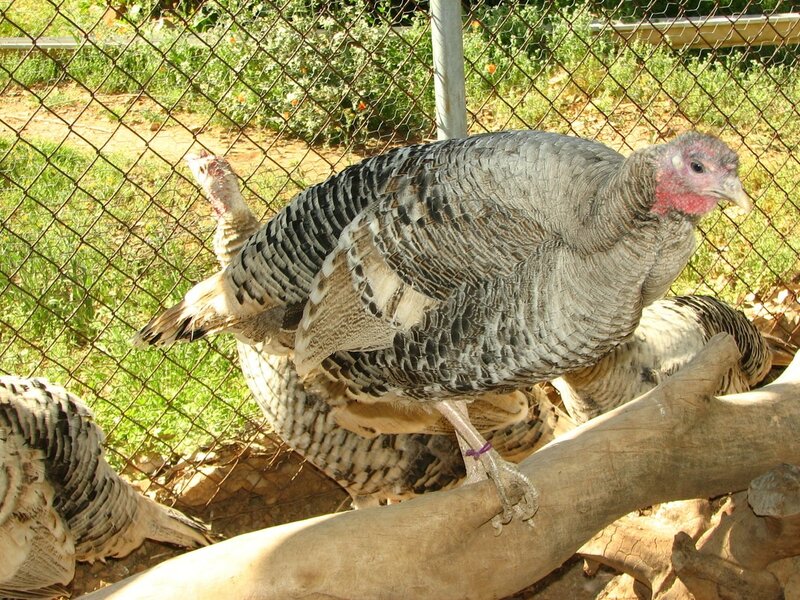 For 2017, I have set up two breeding pens of Pencilled Palms. 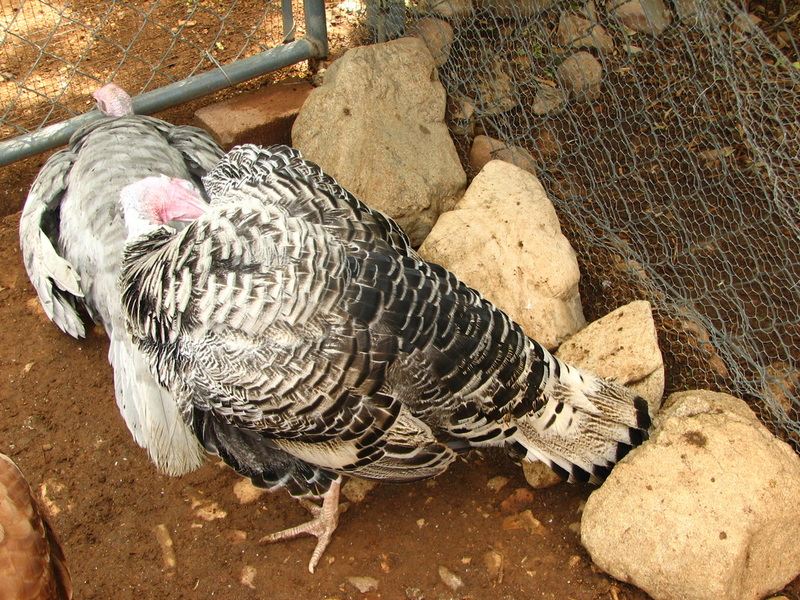 One pen has a black and white tom over black and white hens. 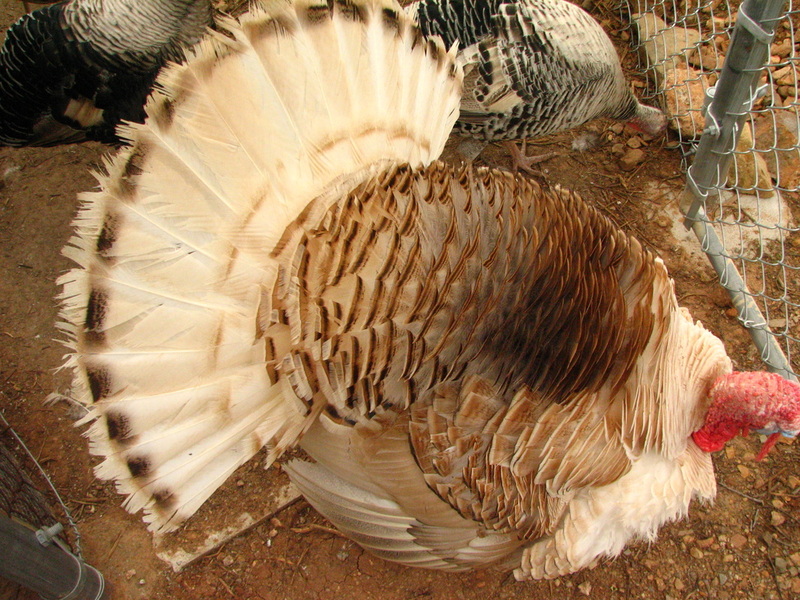 The other has the tricolored tom pictured above over tricolor Pencilled Palm hens. 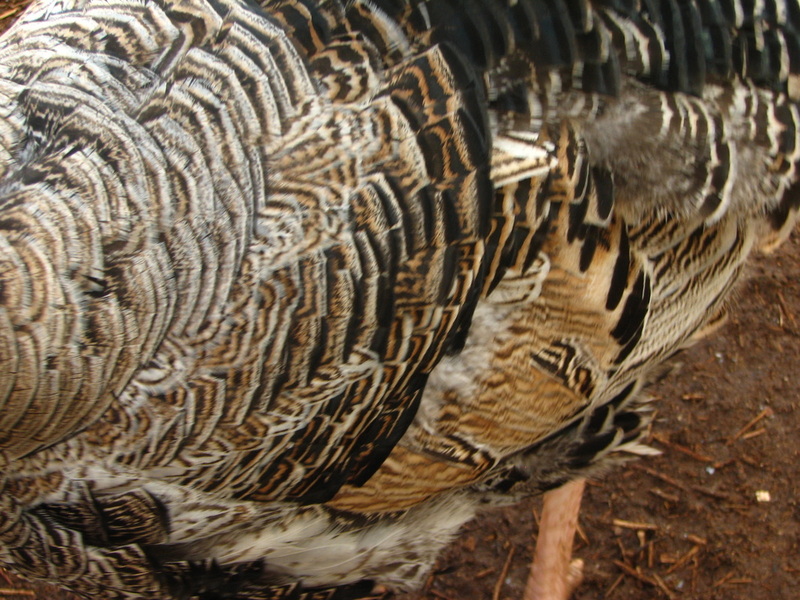 The caveat is, there can be some bleed through of color from the black winged bronze, especially on the tail coverts, giving them a reddish appearance which is not the result of a red gene. 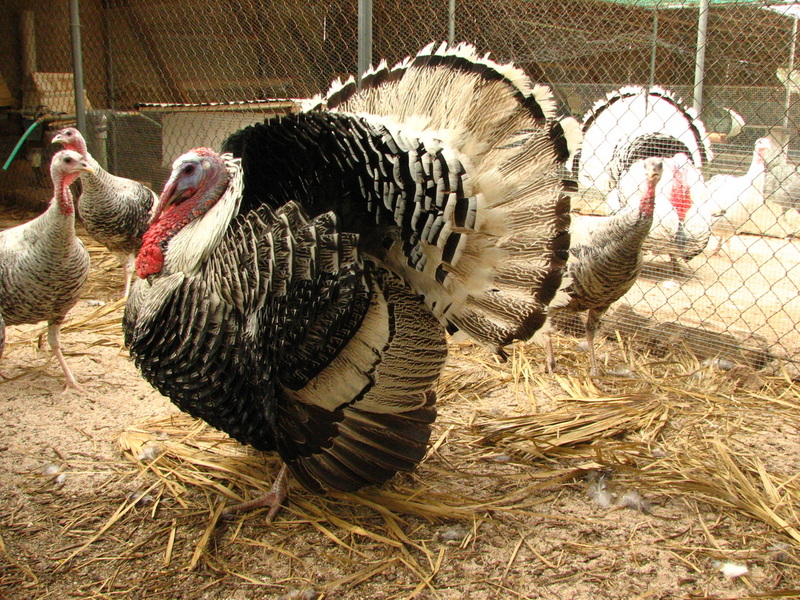 Therefore it can be difficult to tell, particularly on the hens, which carry a red gene and which do not. 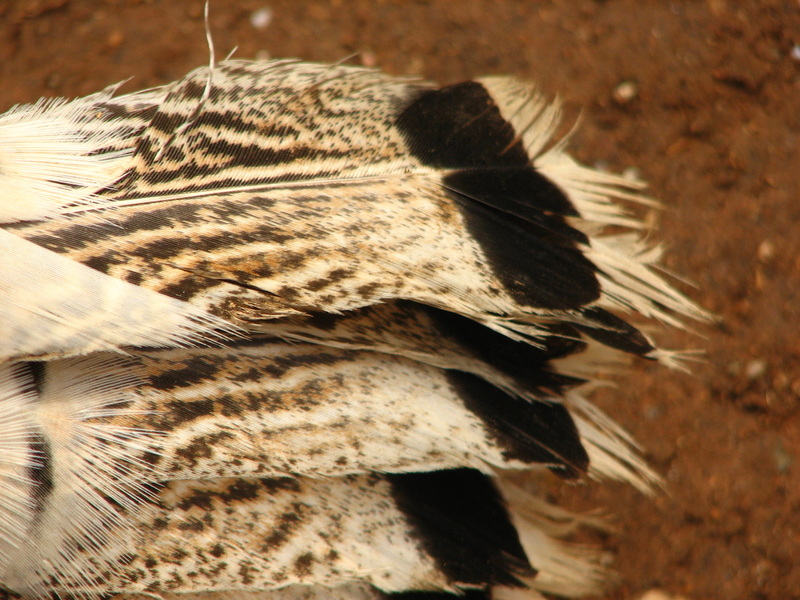 Some tricolors may be produced from my black and white pen because of this difficulty. 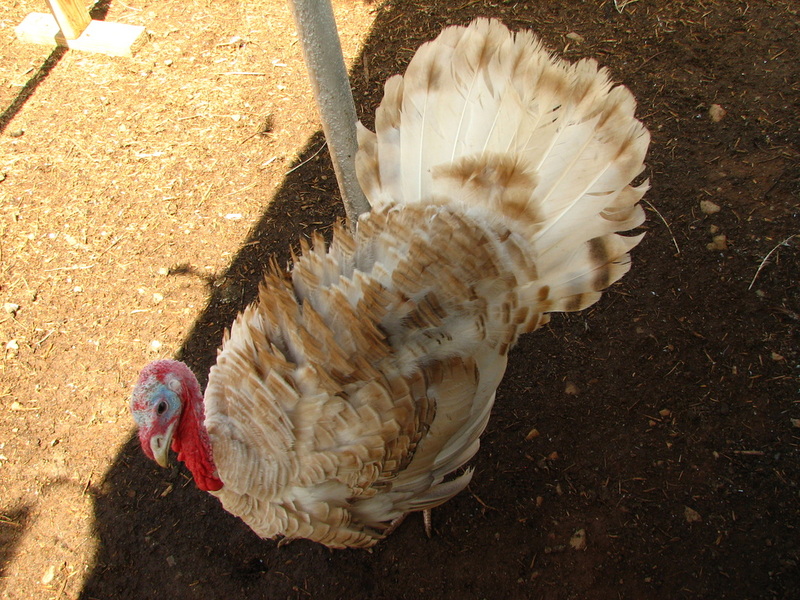 The tricolor pen will produce 3 colors, black and white, tricolor, and red pencilled. 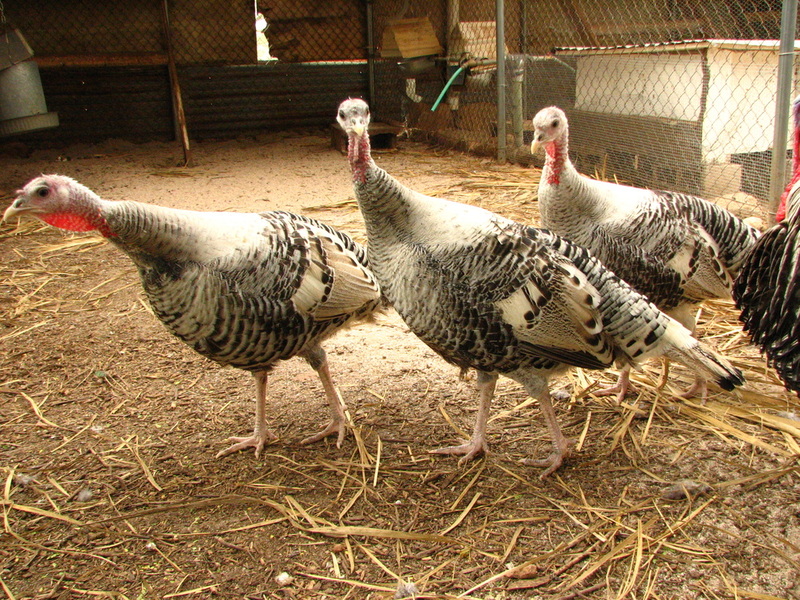 Also, there is quite a bit of variation in this variety of turkey. 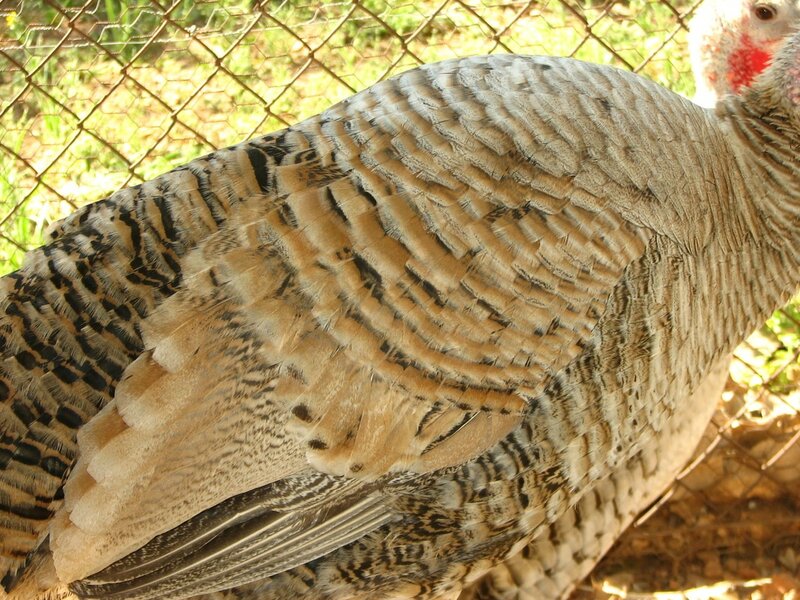 Some can be very white, without the bold markings, almost like a Royal Palm. 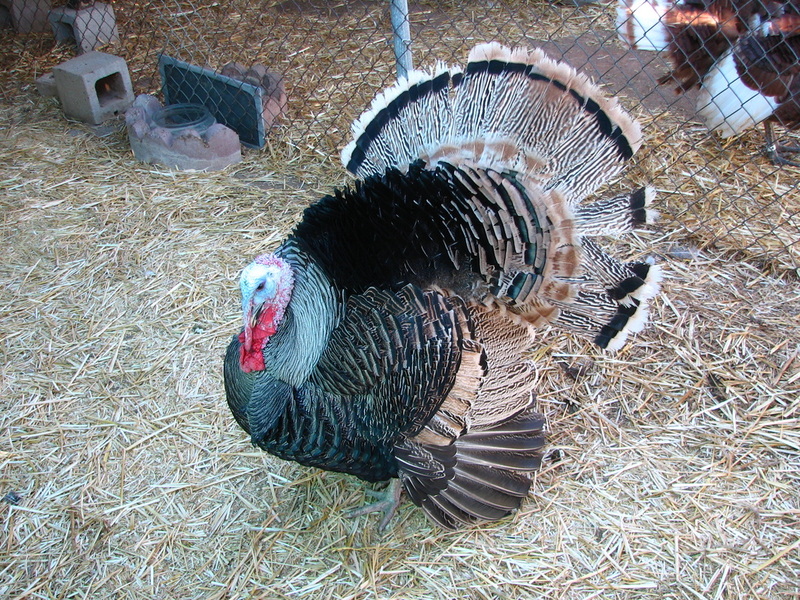 Others can be very dark. 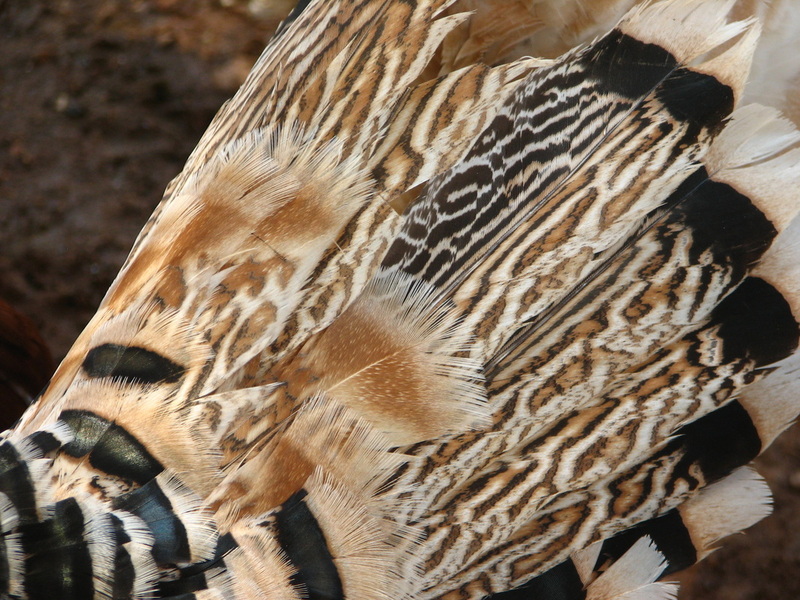 A look through my photos will reveal to you the extent of the variation possible as all these birds, with the exception of the Red Pencilled Palm tom, originated from one pair. 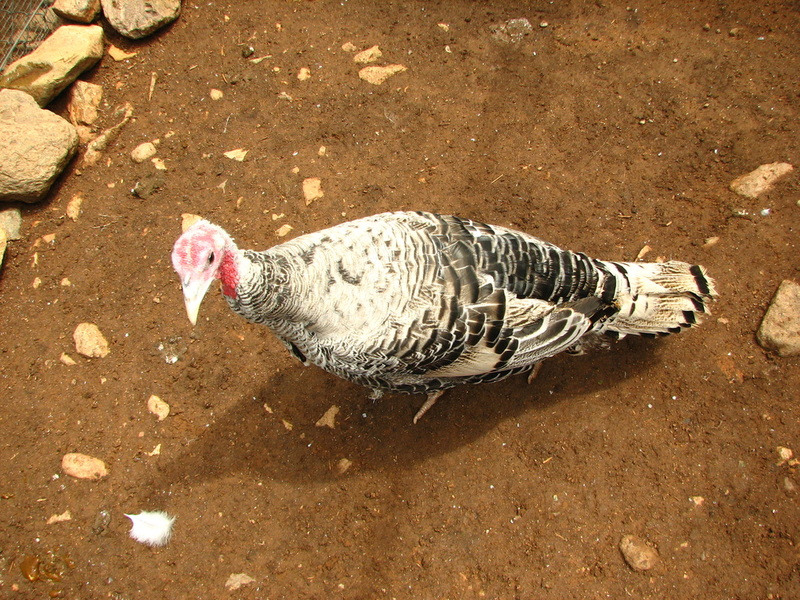 Some lack the exotic markings, as this sister to the others pictured shows. 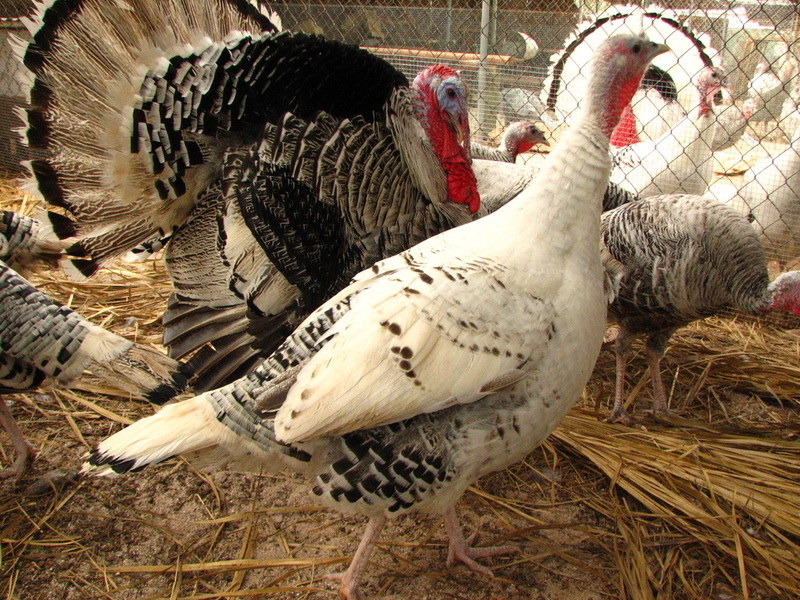 2015 Red and Tricolor Pencilled Palm breeding group.